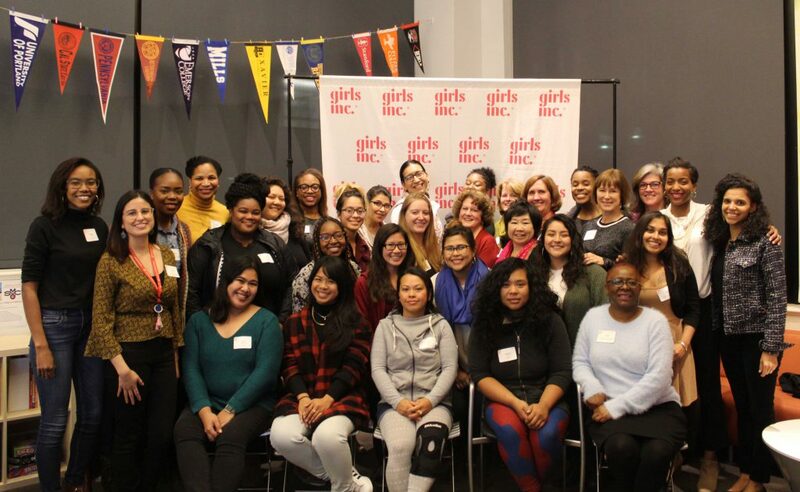 This January, Girls Inc. of Alameda hosted the first Women of Impact (WOI) and Alumnae Networking Event. In our recent Alumnae Survey, our alumnae told us they wanted opportunities to grow their professional networks and connect with both other Girls Inc. alumnae and women who support the organization and are invested in the girls’ success. Over 35 Women of Impact and alumnae of all ages joined us at the Simpson Center for a successful evening of conversation and connection. The evening started with dinner and all the women introducing themselves. Our Women of Impact talked about their professional experience, and our alumnae brought us up to speed on their education and careers. Breaking up into small groups, attendees asked questions and shared career advice. Both alumnae and Women of Impact were encouraged to seek out attendees who had backgrounds and talents of interest to them.